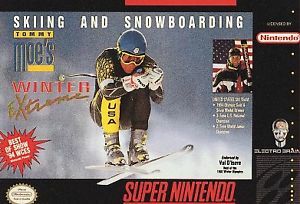 Winter Extreme Skiing & Snowboarding for Super Nintendo allows you to use the Freeride mode to get accustomed to the control and learn how to avoid a variety of obstacles. When you are ready for some competition, see how quickly you can get down the hill in the Downhill race. For some challenge, try to navigate a series of gates in the Slalom and Giant Slalom races.